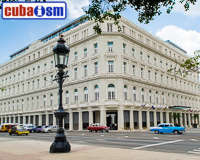 The Gran Hotel Manzana Kempinski La Habana has been described as the urban centre of gravity that pulls together Old Havana... visit our Hotel Manzana website for more details. Who are Amigos de Fangio? We are a nonprofit association that tries to join together all enthusiasts of the classic and vintage cars and motorcycles in Cuba. You may wonder why a club called Amigos de Fangio was founded in Cuba, country with no motor racing history and quiet far from Argentina. The reason for it is that Juan Manuel Fangio made his debut on the tracks of Malecon Havana in 1957. However, in February 1958 he finally marked its entry into our history when a group of youths belonging to the 26th July Movement kidnapped him to divert the world’s attention to the Cuba’s revolutionary movement. Ever since Fangio called these men as "friendly kidnappers" our sympathy towards him had grown. 49 years later, a group of enthusiastic auto racing and classic motorcycle, inspired by the human values of one of the biggest racing stars of all time and led by the cuban Lorenzo Verdecia, started this association on 1st of July 2007. From now on, you are welcome to join this group of enthusiasts. 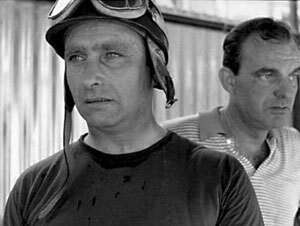 Juan Manuel Fangio is generally considered as one of the best drivers in Formula 1 history, and by many international experts like the best sport pilot for all time. Cuba Classic Car Club "A lo Cubano"
"A lo Cubano" a Cuba classic & historic car club is one of the most important and active car clubs in Cuba with excellent cars and owners. "A lo Cubano" celebrates monthly meetings is Havana and has competitions throughout the year, the car club is also associated to the Cuban Federation of Automobilism.